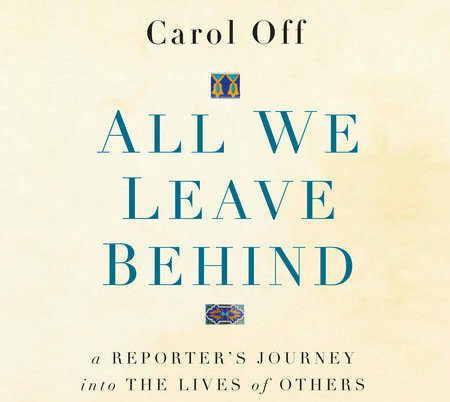 Carol Off's new book tells the story of how she helped a source and his family leave Afghanistan. Screenshot by J-Source. All We Leave Behind is an exploration of what we owe to those who help us find and share the truth. Carol Off, All We Leave Behind. Random House Canada, 2017. Hardcover, $32.95. The most unsettling aspect of Carol Off’s powerful new memoir, All We Leave Behind, is the author’s naiveté. If anyone should know how the world really works, it is Carol Off. 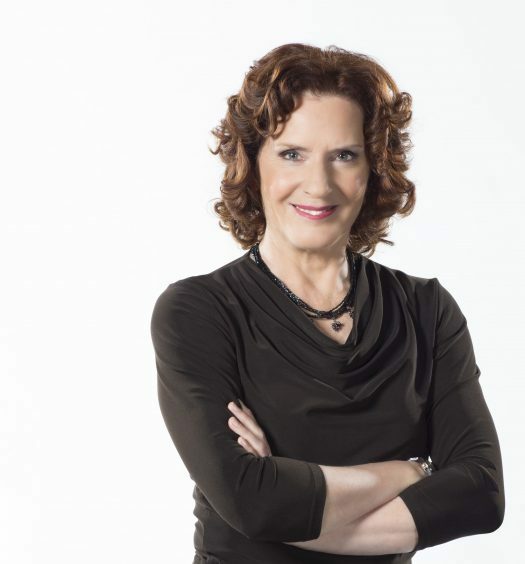 The CBC journalist and current host of As It Happens has spent decades in the field and in the studio. She has interviewed cabinet ministers and warlords, trekked across deserts and up mountains, run toward disaster when everyone else is running away. Off is smart, experienced, courageous in her storytelling and one of the most trusted journalists in Canada. When Off began the process of getting a friend and former interview subject out of Afghanistan, she had no idea what she – and they – would face. She scoffed at the estimate that it might take five years for the UNHCR to assess her friend’s claim. It took eight years – three more than the “crazy” estimate that she had dismissed as a ploy to discourage refugees. All We Leave Behind is many things. It is an account of Canada’s Afghanistan war. It is a chronicle of Off’s impressive career. It is a revealing glimpse of the hard edge of Canadian bureaucracy. And it is an exploration of what we owe to those who help us find and share the truth. Much of the book is consumed with Canada’s contradictory quest to win the “hearts and minds” of Afghanis while also killing them. Off offers clear explanations for why the mission was so hard: Canada was boxed in by the dirty deals and bad reputation of its American allies, and the Canadian military’s reputation for and culture of peacekeeping hampered its ability to engage in actual war. But the core of the story is Off’s relationship with the family of Asadullah Aryubwal, known as simply Asad. Asad’s 2002 on-camera confirmation of mass crimes was the foundation for Off’s award-winning documentary In the Company of Warlords. The interview destroyed Asad’s life as Afghanistan spiralled into chaos and the warlord he named in the documentary grew more powerful. In 2008, Asad was warned to leave Afghanistan immediately or his entire family would be killed. Asad, his wife and five children fled to Pakistan and asked to be accepted as refugees in Canada. Off spends much of the book examining her part in the demise of Asad’s family. Should she have interviewed him? What is her responsibility for his family’s plight? Off is uncomfortable with her increasingly important role in the family’s fate: pestering refugee and immigration officials, lining up sponsors in Canada, sending the family money and giving them pep talks about a future in Canada. She thinks she has violated her professional ethics by getting personally involved with a source. She positions her ethical breach as the central tension meant to carry the narrative of the book. This feels like a literary device. By the time Off was actively helping Asad and his family, he was no longer a source for the CBC and she was not reporting on his case. There was no conflict of interest in her actions, but her discomfort in breaking professional habits, if not ethics, is revealing. 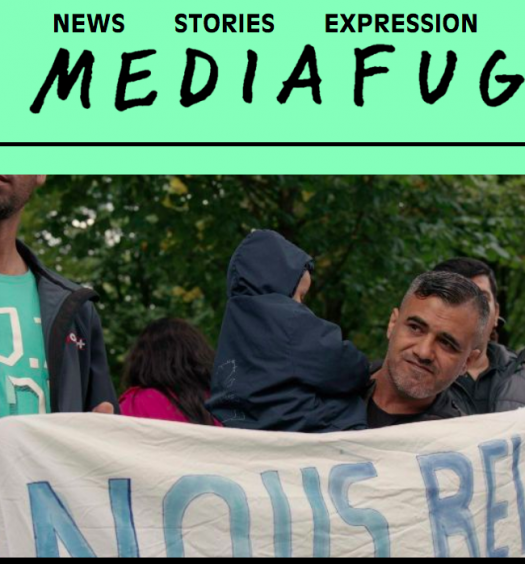 The broader issue of how and if journalists are responsible for sources is important. Asad could be the proxy for legions of sources harmed in the wake of important stories. In the end, Off decides that she can live with that professional relationship. Some of the most compelling reporting in this book is a direct result of Off’s unusual friendship. In describing relations with various relatives and in-laws of Asad and his family, Off gives us a powerful and nuanced portrait of tribal and gender politics in modern-day Kabul. But the section that should be most important to Canadians details the quest to get Asad and his kin to Canada. This is a man who risked his life to tell Canada’s public broadcaster about war crimes in a country that was then occupied by the Canadian military. It seems like a no-brainer that Asad would be whisked across the Atlantic Ocean to safety. Instead, he spent eight years in limbo, hiding in an apartment in Peshwar in declining health, periodically called for mysterious interviews, fearing deportation, being pestered for bribes and never knowing if he would be granted asylum. It is clear that Asad’s case is not unusual. This Kafkaesque process is normal procedure. Off, with all her intelligence and experience, had no idea what she faced in trying to bring Asad to Canada. And Off, with all her connections and all her soft power, could not cut through the bureaucracy to speed her friends’ journey to safety. Off’s book comes at a time when Canada is once again indulging in the warm-and-fuzzies over our supposedly superior immigration policies. All We Leave Behind is a useful reminder that Canada’s immigration system can be just as ruthless as any other. Kelly Toughill is an associate professor of journalism at the University of King's College and founder of Polestar Immigration Research Inc.